Hampton Inn Sea-Tac offers a 12-person maximum capacity meeting room. All meeting packages include full a/v support, with the ability to view both dvds and vhs tapes, as well as being able to support conference calling. Half and full day rates are available. 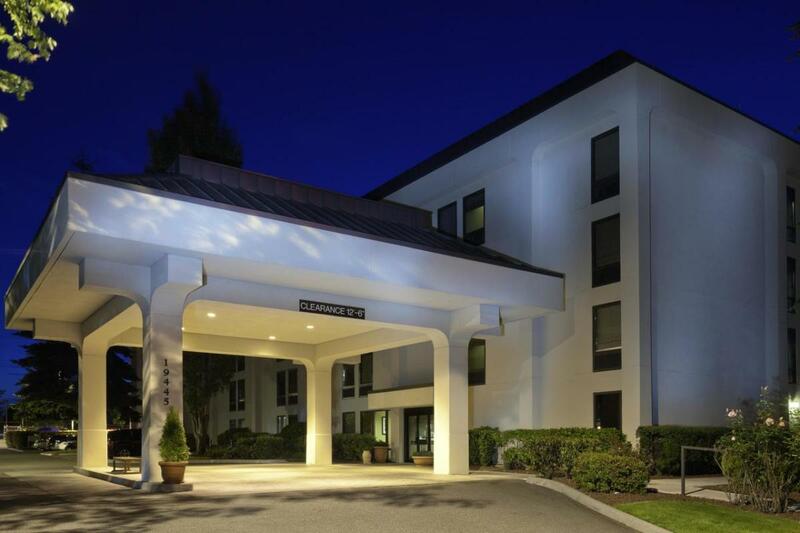 The hotel is located near Seattle-Tacoma International Airport and across the street from Angle Lake Park. No restaurant on site, but catering arrangements can be made. Description Twelve-person maximum capacity meeting room. All meeting packages include full a/v support, with the ability to view both DVD and VHS tapes, as well as being able to support conference calling. Half and full day rates are available. Hotel is located near the Airport and across the street from Angle Lake Park. No restaurant on site, but catering arrangements can be made.